// decide what to show in the action bar. * A pointer to the current callbacks instance (the Activity). * Helper component that ties the action bar to the navigation drawer. // drawer. See PREF_USER_LEARNED_DRAWER for details. // Select either the default item (0) or the last selected item. // Indicate that this fragment would like to influence the set of actions in the action bar. * Users of this fragment must call this method to set up the navigation drawer interactions. 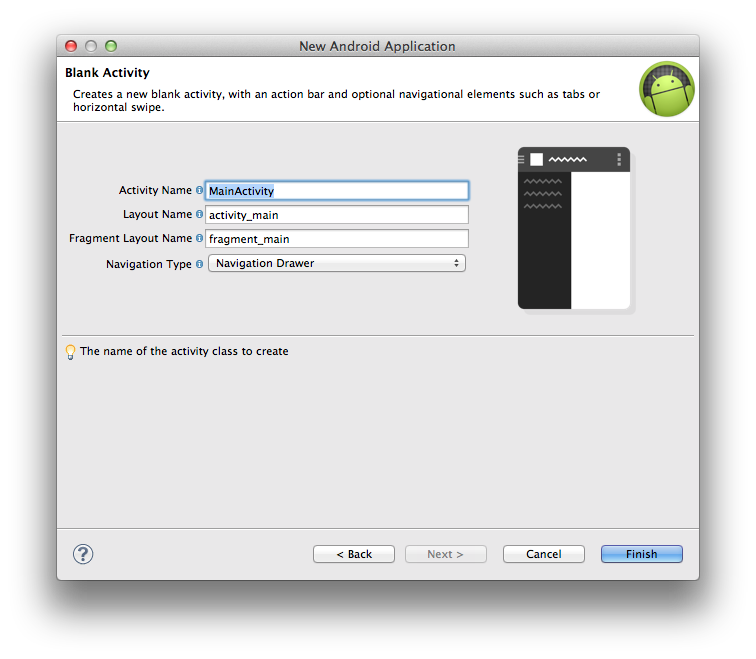 * @param fragmentId   The android:id of this fragment in its activity's layout. * @param drawerLayout The DrawerLayout containing this fragment's UI. // between the navigation drawer and the action bar app icon. // the navigation drawer automatically in the future. // per the navigation drawer design guidelines. // Defer code dependent on restoration of previous instance state. // Forward the new configuration the drawer toggle component. // showGlobalContextActionBar, which controls the top-left area of the action bar. * 'context', rather than just what's in the current screen. * Callbacks interface that all activities using this fragment must implement. * Called when an item in the navigation drawer is selected.